I’m feeling lazy tonight so I shall not pretend to be a professional journalist and just write about this Indian restaurant at Cuff Road, Little India. For the past two years (at least), it serves a free meal a day to any unemployed, and usually shelterless, South Asian (India, Bangladesh, Sri Lanka) foreign workers. The free meal times are from 8am to 10am in the morning, and 6.30pm to 8.30pm in the evening, Mondays to Fridays. All other times, the restaurant operates like a normal business. From what I know, this isn’t the only place in Singapore that provides free meals to foreign workers. Every Friday, a huge group of workers will queue up across the street for free packet food delivered by volunteers from St Ignatius Church (see photo). 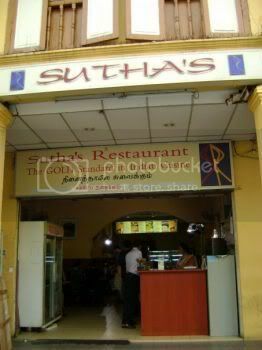 The Cuff Road Project, as the provision of free meals at Suthas Restaurant is called, is operated by Transient Workers Count 2, or TWC2 for short. Besides offering free food, there are volunteers there daily during mealtimes to attend to any complaints the workers have about their employers. One of them, a writer for a Bangladeshi magazine here, acts as the translator. A few volunteers are actually foreign workers themselves who are unemployed and ‘homeless’. Rather than indulge in self-pity, they prefer to lend their time to helping their fellow countrymen. I have been there twice already. The first time I went there, a news crew from Al Jazzera was filming. Another news crew from Bangladesh came later, around 8pm. It appeared that we are fast gaining a reputation as one of those destinations noted for exploitation and abuse of foreign workers. But this is not going to be another rant about how there is very little political will to address these issues. No. I’m planning on something more constructive. I’m looking into what more we can do to help these workers. So I’m asking for suggestions. I’ve got some pretty far-fetched ideas of my own, which I bounced off the TWC2 people when I was at Cuff Road. I think they were pretty inspired as well, but that was as far as it went when we started considering the logistics. I thought of doing this programme called DAB, which is an acronym for “Donate A Bat.” Not the flying mammals, but cricket equipment, because you know, Cricket is like national the sport of India or something… and the idea is to get as many donations of cricket bats as possible and distribute them to different dorms across the island. Hopefully, this will inspire the workers to form their own teams and then later on, organize a tournament for them. But we doubt the authorities or the employers would take kindly to too many workers armed with bats. Also there is the possibility of injuries from playing as well. As we all know, workers don’t get compensated for non-work-related injuries either. Well they don’t exactly get compensated many times for work-related injuries either but that is another story. We’ll probably do some scaled down version of this. Then there is DAMN. Which stands for Donate A Mattress Now – not tomorrow, not the day after, but NOW!!!! Having been to a few dorms, I was quite surprised to see most of the workers sleeping on wooden planks. So this was an idea that popped into my mind. But apparently, it’s not such a great idea after all, because there’ll be bed bugs. Even over at HOME, which provides free shelter for abandoned workers, the mattresses had been replaced by mats because bed bugs breed under such humid conditions quite easily. Damn. Then there’s DAFT. Which stands for Donate A Fruit Today. 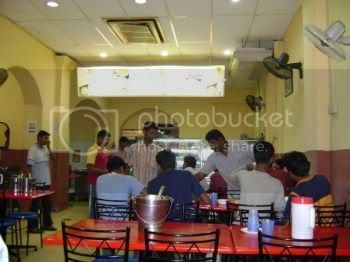 As you know, what the workers get daily, even over at Cuff Road are prata and curry, and/or rice with curry and some meat. They seldom get nourishments from other foods for their like vitamins and minerals. And they love fruits, if they can afford them. I’ve got a friend who’s in the food business and he has given his verbal assurance that he is able to provide fruits on some days. But yeah, it will be great if the supply of fruits can be more regular. So if you know anybody who is a fruit supplier or something, bounce the idea off him/her. As you can see, I’m not very good at coming up with practical working ideas. So, I’m asking you. Don’t be embarassed if the idea feels too far-fetched. I’ll just compile them and discuss them with the TWC2 people when I see them this Friday. This is the power of Facebook I guess. Tapping on the collective wisdom of the internet community. Winning ideas get a free meal at Cuff Road. Note: If you wish to make a donation to the project, or for any other purposes, please contact TWC2 through their website here.